Snowflakes melt alone – but together they can be traffic stoppers! 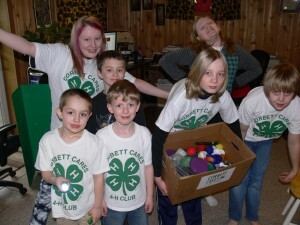 Corbett Cares 4-H club is dedicated to community service. Each member is responsible for their own community service idea and then we, as a club, help make that project a reality. Some of our projects are listed below. 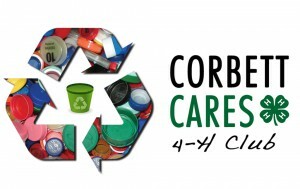 Thanks for your interest in Corbett Cares 4H Club! In April of 2011 we learned about the different types of plastics. ( You can too by selecting here! ) 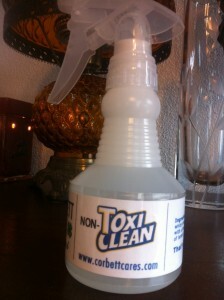 We decided that there are far too many plastics ending up in our landfills, waterways and oceans. To try and do something about this, we created “Operation Bottle Cap Collection“. 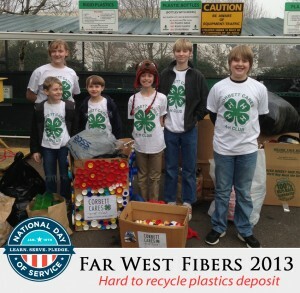 This project included our kids creating collection boxes for their school classrooms, coming up with information to share with kids and teachers about how and why we were doing this, and then ultimately collecting the caps and taking them to a special collection center called Far West Fibers, so these caps could be diverted from our landfills ( where they don’t ever break down ) and can be recycled and used in something else, like maybe playground equipment!Read more here! Yard work ( leaf raking, gutter cleaning, etc. ) for a community member living on her own in Corbett Oregon. * More pictures available from our Facebook page. 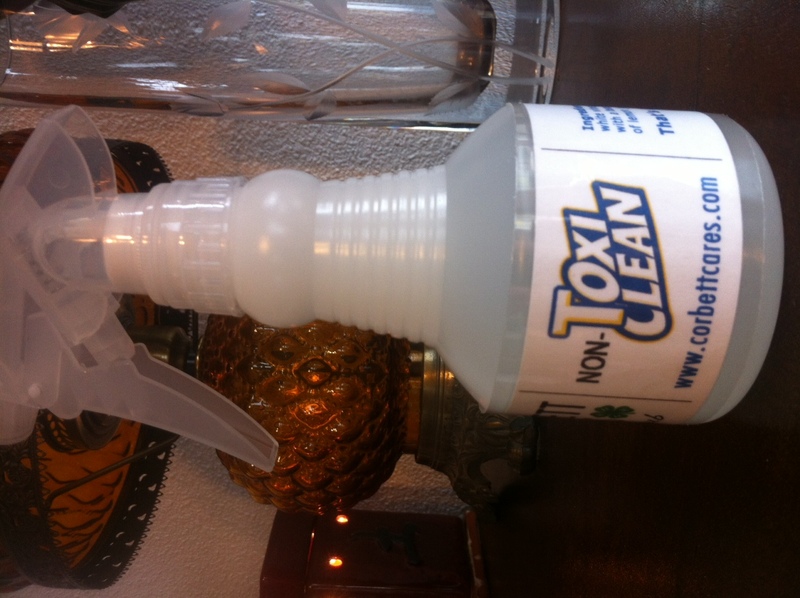 Spring clean. 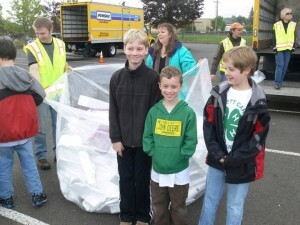 Our club is collecting hard to recycle items like rigid plastic and block styrofoam in April to take to the City of Gresham Earth Day Celebration and Recycling Event on April 24th, 2010. We will then be working on a collection bin for these items to be stationed at the Springdale School Community Center. Check back for more details! * More pictures available from our Facebook page! 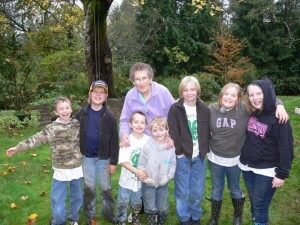 This community service project collected blankets for the Multnomah County animal shelter. 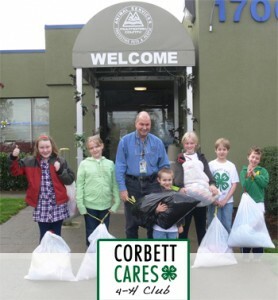 With the help of parents and students at the Corbett Grade School we collected a lot of blankets and delivered them to the shelter and also had a tour of the shelter thanks to John Rowton. More pictures available from our Facebook page! Our first community service goal was to pick up trash and adopt a road in Corbett. Unfortunately, because our club members are a few years shy of 13, we couldn’t officially adopt a road yet. 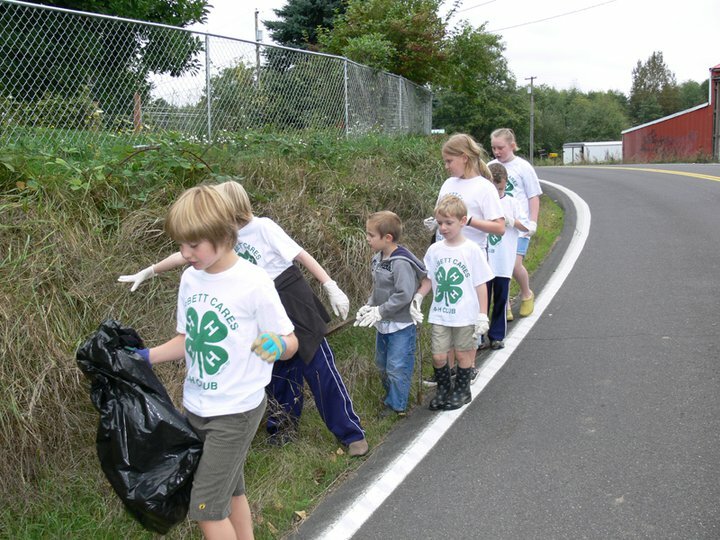 We still did a fine job collecting trash on Lucas Road on MLK’s National Day of service in January 2010. The kids worked really hard and even with the bad weather we all filled our bags! 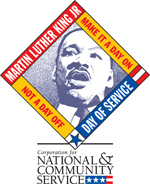 ( We all agreed that picking up trash for an hour or so on a day with some wind was nothing compared to the work others, like Martin Luther King Jr. have done over the course of their lifetimes! ) * More pictures available from our Facebook page! ” Everybody can be great because anybody can serve. You don’t have to have a college degree to serve. You don’t have to make your subject and your verb agree to serve. You only need a heart full of grace, a soul generated by love. ” –Martin Luther King Jr.